One superpower that gains constant attention is that of impenetrability, a power possessed by superheroes like Luke Cage, Wonder Woman, Superman and Colossus. In a recent paper in Advances in Physiology Education, Barry W. Fitzgerald considers how Colossus’ skin might work. Colossus is a member of the X-Men and has appeared in films such as X-Men: The Last Stand, X-Men: Days of Future Past, Deadpool and Deadpool 2. Like the other X-Men, Colossus’ DNA contains the X-Gene, which is behind his superpower. Colossus has the ability to create an “organic steel” layer on his skin that is impenetrable and protects his body. “The key to Colossus’ power of impenetrability is a change in the structure of his skin”, says Fitzgerald. 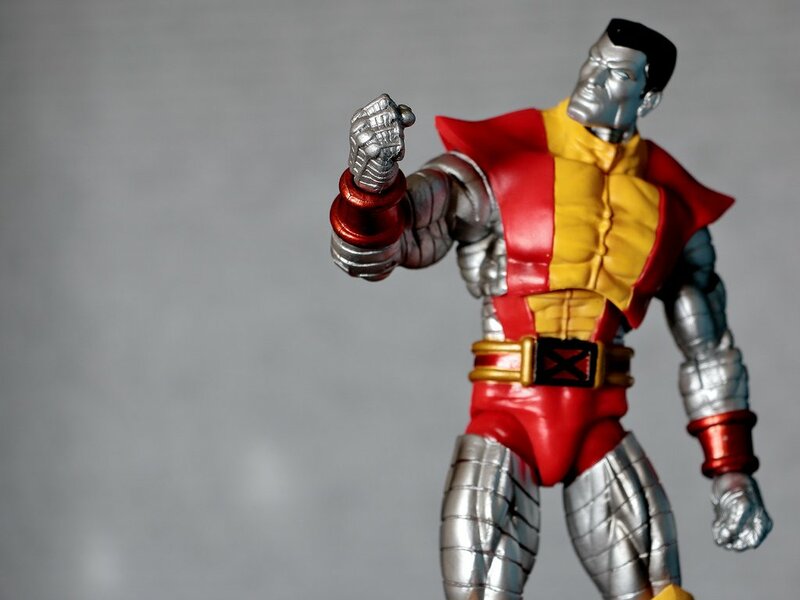 When Colossus changes to his “organic steel” form, this directly affects the epidermis and dermis in the skin, which can have serious physiological repercussions for Colossus. For instance, thermoregulation is an important process in the body towards keeping the core temperature at about 37°C. “When Colossus is in his steel form, his body’s ability to thermoregulate may be severely hampered”, indicates Fitzgerald. As a result, Colossus’ superpower could actually be fatal. When comic book writers are creating a new character, scientific laws do not have to limit their stories. While “organic steel” seems like a viable material, Fitzgerald debunks “organic steel” due to the lack of iron in the human body and energy constraints. Instead, Fitzgerald proposes that graphene is a more realistic material as it “takes advantage of the elemental composition of the human body”. Graphene is an incredible material: a single carbon atom in thickness with the atoms forming a honeycomb lattice arrangement. It has unique mechanical and electrical properties. As of yet, graphene has not had commercial success, although it has been employed in the development of drug delivery devices, wound healing treatments, and ballistic protective materials. Fitzgerald contends that Colossus could form a graphene layer via a protein folding and protein self-assembly process. Fitzgerald outlines the key steps in the production of Colossus bio-graphene layer and issues that may arise during its formation such as changing blood viscosity. Fitzgerald: “If Colossus’ impenetrable skin were composed of a bio-graphene protein lattice layer, a number of physiological problems could be addressed.” He then describes how a bio-graphene layer would allow Colossus to thermoregulate, retain electrolytes while battling villains, and ensure that Colossus can always see, even when covered by an impenetrable bio-graphene layer. Fitzgerald also discusses how Colossus can be integrated into the classroom environment. “In the classroom, Colossus can foster a multidisciplinary learning environment where concepts in physiology can overlap with topics in physics, engineering, and materials science”, suggests Fitzgerald. The paper provides a number of questions or investigations for students in physiology and biomedical engineering courses. In addition, Fitzgerald discusses how he has used Colossus in conjunction with other characters such as Hawkeye (about whom he has also published a paper in Advances in Physiology Education) and Iron Man in scientific communication and outreach.